Arrive in Rio de Janeiro and transfer to the hotel.Rio de Janeiro is the Capital of the State of Rio de Janeiro and was also Brazil's capital from 1763 to 1961. It is nestled between the mountains and the sea. 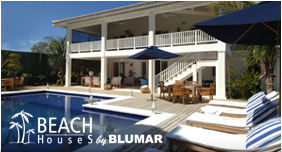 Its magnificent shoreline includes charming bays and beautiful beaches, dotted with islands up and down the coast. Flying into Rio is a beautiful sight; whether at night or during the day, the visitor quickly finds out why Rio is known as the Marvelous City. 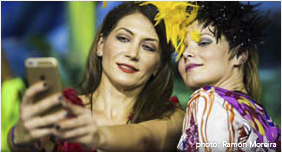 It is also an important center for art and fashion.That evening experience Rio by night with dinner and a show. There is no other place in Rio that embodies the alegria or happiness of the Brazilian people more than the nightlife scene in the neighborhood of Lapa. Once the sun goes down, this normally quiet neighborhood turns into a bustling and vibrant area full of restaurants, nightclubs and bars. 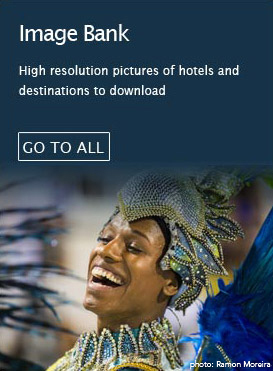 The streets fill with cariocas and gringos alike, who flock to this Rio nightlife Mecca with one thing in mind……fun!! From traditional northeastern forró, to Rio’s own samba, to reggae from Bahia, visitors will enjoy the best that the Rio music scene has to offer. On the Rio Nightlife Tour, we will take you right to the heart of the action where our local guides will accompany you to one of the best clubs in Lapa, Rio Scenarium an unusual bar, a mix between an antique shop and an auction room, where the locals come to listen to traditional Brazilian jazz and samba. Dinner at a restaurant. Overnight at the selected hotel. The day begins with a morning tour to Corcovado. 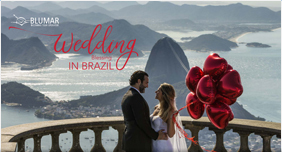 After a beautiful scenic drive along Rodrigo de Freitas Lagoon, we will arrive at the bottom of the Corcovado hill where it will embark on a comfortable train ride that will climb the beautiful mountain, where the statue of Christ the Redeemer is located (2,300ft above sea level). 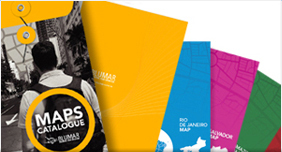 From the top, discover why Rio is known as the Marvelous City! This tour also includes a drive along Rio’s famous beaches. That afternoon explore the secrets of Old Rio: an interesting walking tour in the colonial part of town. This area, in downtown Rio, is where the 400- year-old city started to grow and is now a bustling trade center. Despite this busy setting, one can discover interesting places, combining baroque and modern styles, little cafes, and pedestrian streets. Overnight accommodation at the selected hotel. The morning will consist of a tour to Petropolis. The city of Petropolis, located in the mountains outside of Rio, is known as the Imperial City. This is due to the fact that it was chosen at the time of Brazil’s monarchy to be the summer residence of the Emperor of Brazil, Pedro II. Visit the Imperial Museum, the Crystal Palace and the São Pedro de Alcantara Neolithic Cathedral (Most sites are closed on Mondays). Overnight accommodation at the selected Hotel. This morning transfer to the Rio airport for a flight to Belo Horizonte. After arrival the group will immediately head to the city of Ouro Preto. Ouro Preto was founded in the early 18th century. It was built on rocky ground and declared a national monument in 1933. It is the masterpiece of colonial architecture in Brazil with fountains, churches, ruins and towers shining with colored tiles. Due to its distance from the coast, it is the only town in Brazil to remain as an outstanding artistic and architectural example of that era. 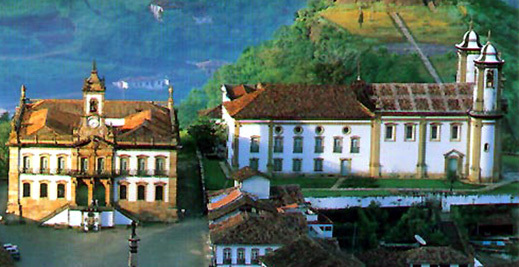 Ouro Preto's baroque architecture can be viewed upon as typical of that era. Overnight accommodation the selected hotel. The morning will start with a walking tour of Ouro Preto with lunch. Overnight accommodation the selected hotel. In the morning transfer back to Belo Horizonte Airport for flight to Salvador.Salvador, the capital of the state of Bahia, was the capital of the country until 1763. The city, without a doubt, keeps in touch with its African roots and traditions with respect to its cuisine, religion, and artwork. It is divided into two parts. The ´´Lower City´´ is at sea level and is where the city´s original port and commercial area, including Mercado Modelo, are found. It is also the best part of the city to experience a capoeira demonstration, a Brazilian martial art developed by slaves, which is an important aspect of Afro-Brazilian cultural expression. The ´´Upper City´´ is reached by alleyways, stone steps or the famous Lacerda elevator. This part of the city is where the majority of museums, churches, modern architecture and the Pelourinho neighborhood are located. The restoration of the Pelourinho area has given Salvador a new lease on nightlife. After arriving in Salvador guests will transfer to their hotel.That night features “Bahia by night”, an excursion that takes guests to Pelourinho to enjoy dinner at a restaurant and sample typical bahian food, then enjoy a show at Miguel de Santana Theater, a dazzling folklore performance of Bahian music, dance and pageantry follows, illustrating all that is unique in the Afro-Brazilian culture.Overnight accommodation at the selected Hotel. On this half day historical tour the group will start in the modern suburb of Barra and slowly makes its way to the old historical section of town, the Pelourinho area, with the largest and the best preserved complex colonial architecture in the Americas. We visit the church of Sao Francisco with its exuberant gold-leafed baroque interior and the Pelourinho Square, the heart of the old town. This tour shows two distinct aspects of Salvador: the new and the old, concentrating on the early expansion of the city. Overnight at the selected hotel. Guests leave the city behind and drive through the oldest farmland in Brazil. The group visits an experimental cacao plantation and has lunch in Cachoeira, a charming colonial town set on the banks of the Paraguassu River. Later take a walking tour of the town with its many wood sculptors ateliers, bustling market (Wed, Fri and Sat) and visit the Sisterhood of the Boa Morte, a convent which traces its origins back to the time of slavery.Overnight accommodation at selected Hotel. Day at leisure to explore Salvador.Overnight accommodation at selected Hotel.